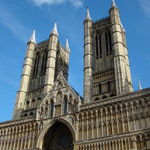 The Lincolnshire Link is a website devoted to connecting the people of Lincolnshire with recommended local businesses. In the smallest towns, cities and everything in between, more people lament losing a sense of community and local character. Meanwhile, national chains continue to undercut prices, displacing locally owned businesses in Lincolnshire and nationwide. Despite this, the trend towards local searching on the internet is growing, with directories such as the Lincolnshire Link becoming an invaluable tool in networking. The problem for most local businesses is the shear size of the Internet. A locally based website often gets buried deep in search engines, with larger national and international sites usually dominating the best search terms. Without continous investment in an ongoing online marketing strategy, it is difficult to compete and your website is likely to get a fraction of the traffic is should really have. The Lincolnshire Link aims to resolve this by providing a platform for Lincolnshire businesses to be found by local people. All of the businesses on this site have been verified and approved, with the majority coming from personal recommendations from other Lincolnshire businesses. We hope you find the Lincolnshire business you're looking for and if you'd like to be added to our directory, please see our link request page. To add your link, we ask that you add a link back to us on your website, which will help us to continue our growth. This months featured business is local web design company Web Design Studios. The Lincolnshire Link aims to promote local recommended businesses in Lincolnshire.